In honor of the satisfying, yet somehow still underwhelming LOST ending this last weekend, we felt the need to put out a list about some other shows that just kind of flickered out in the end. Some TV shows have secured themselves in the history books by ending their runs on such a horrible note that all the previous hard work was forgotten because of one bad decision, but then there are these shows. The kind that just sit there, rotting, like that last black banana you just can't be bothered to throw out. It's not quite the same as "jumping the shark", because there isn't one glaring event that can be pinpointed to blame for the show turning to crap. It's a much sadder, slower dive into mediocrity that more than deserves its own list (in no particular order). 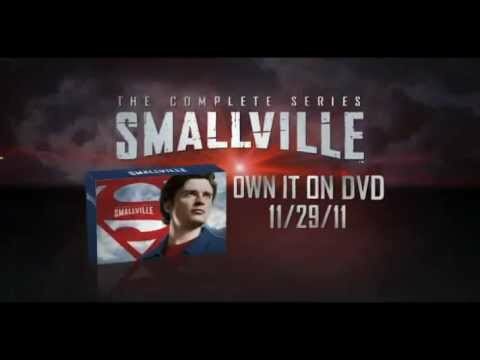 Finally bringing together two camps that the world feared would pair at some point, Smallville finally united comic book fans and teen drama fans through their viewing habits to tell the story of a young Superman and his friends back in 2001. Nine years later the show is still going, somehow (shouldn't it just be called Metropolis now? ), but most viewers have moved on to greener Kryptonite. While initially the show was a fresh enough idea, and we also had some players we love. We had Lex Luthor before he was evil, which actually complemented the comic book character in some ways; we had Clark Kent being himself and dealing with the fact that he's an outsider, something he comes to accept later on; and we had Lana Lang, a love of Superman that everyone wanted to know more about (at first...). It later became more and more apparent that the show had stopped moving forward, and was now jacking off with its own storylines, which became more ridiculous as the show went on. It seems that after a while they had nothing left other than showy gimmicks, (apparently) pointless melodrama and recycled Superman storylines. Let us say that again: recycled SUPERMAN storylines... meaning that this show, in of itself, makes absolutely no sense. As in the beginning it tried to at least LOOSELY stay faithful to the source material, but as the show went on they realized that they needed freshness to keep the show alive... the solution? Superman storylines. Innocent Child: "But I thought the show as about Clark Kent BEFORE he became Superman"
The CW: "F**k your dream$, child! We have a $uperman to deliver!" It’s been nine years and he still can’t fly, it’s not going to happen. They've been through a Zod storyline, as well as the infamous Doomsday story. Aren't those previously-unheard-of dangers supposed to be two of Superman's greatest/deadliest enemies? If he defeated them as a teenager (who can't even fly yet), he'll have no trouble in the f*ture. 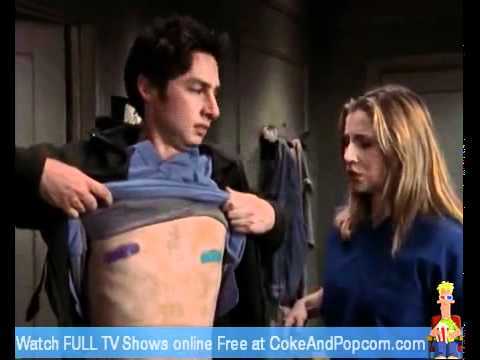 Scrubs was one of the first successful one-camera sitcoms that stuck around for a long time despite other great, non-laughtrack shows like it falling down around it all over the place (Arrested Development, Malcolm In The Middle). It had some great daydream sequences, a slew of lovable characters, some great performances and a pace that kept you interested. Q: What kills a show quicker than getting rid of familiar characters? A: Replacing them with new ones that are just shallow clones. It didn’t work for ‘Saved by the Bell: The New Class’, so who was dumb enough to think it would work for ‘Scrubs: Med School’? It was a pretty poor effort from a show that had supposedly called it quits twice already, but why not come back for round three and secure yourself in the halls of failure? ABC: "Why not, kids? Why not?" Old grey mare, she ain’t what she used to be. 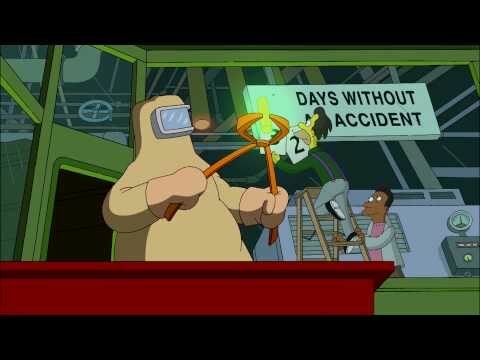 The Simpsons has always been a powerhouse. Starting on the Tracey Ulman show, and working its way up the charts with its pure charm, wit and revolutionary humor, the Simpsons took from stand-up comedians, the best TV shows and the minds of up-and-coming geniuses to create a whole generation of Simpsons fans. With more memorable quotes than any show in the history of television and more loyal fans that we can even count, The Simpsons is arguably one of the most influential shows ever made. You know how we just said that The Simpsons inspired a whole generation? Well, that's kind of the problem. After about 10-12 SOLID seasons, people who grew up on The Simpsons actually started writing for the show. The show grew a life of itself and just started taking from anything it could get... including itself. It started relying on just what South Park made of fun Family Guy for: pop culture references instead of jokes. Satire turned into spoof, turned into lampoon and the real base of the show, the core died with the lack of creativity that's plastered onto some of our favorite characters week after week. For more than a few seasons now, we’ve had to deal with recycled plots, lame gags and more than enough clip shows to fill an entire stadium. All of this and more have left even the most die-hard fans teetering on the verge of giving up our weekly Springfield visits. Everyone thought the 2007 movie was the obvious way to end it all on a high(ish) note, but at this point it seems the only possible end point will be when one or more of the principle cast dies or loses their voice. Don't get us wrong, nobody loves The Simpsons more, but how sad is it that our once go-to choice for "Favorite Show" on ANY list isn't going to go out with a bang, but with a flicker? 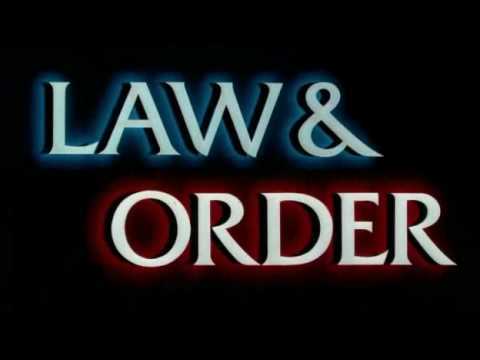 No one will argue that ‘Law & Order’ was a behemoth of a show. The key word here, though, is "was". It helped solidify and create arguably the most popular genre of television: the procedural show. This wasn't a show you needed to watch regularly, you can just hop in with the criminal of the week and never watch it for a year, then hop right back in. This is why it ran for as long as it did. After 20 years, and God knows how many variations (that are still around), the show was old and tired (much like most of the viewers who were still on their original hips and knees when the show started). The "procedure" of the procedural show has been copied and re-copied and re-re-copied so many times, that it's hard to tell all these shows apart most of the time. * We'd probably at least watch this one a few times if it existed... sadly all the other ones aren't a joke.